The Boston Symphony Orchestra can hardly be accused of sticking with “same old same old” in the coming concerts, featuring two artists new to its roster and hardly known to the general music-going public. One is a Tae Kwon Do black-belt soprano in the role of Ariel for Thomas Adès’s The Tempest, the other a pianist from the East European Republic of Macedonia, that has sent few performers to the States. Tonight and tomorrow night (March 25 and 26), in the BSO performance of scenes from Thomas Adès’s The Tempest, the Ariel is Israeli soprano Hilá Plitmann. In high demand for contemporary music, she sang Alice in del Tredici’s Final Alice, to be performed again in Pittsburg with Leonard Slatkin in early May, and is about to sing the role of Cecily Cardew in the world premiere of Gerald Barry’s Importance of Being Earnest. The concert, part of the BSO’s UnderScore Friday (repeated on Saturday evening) it to be conducted by Ades himself, making his BSO debut. English soprano Kate Royal and English tenor Toby Spence are also making their debuts; baritone Christopher Maltman is a returning artist. Other Tempest-themed works by Tchaikovsky and Sibelius are also on the program, and English violinist Anthony Marwood is performing Thomas Adès’s Violin Concerto, Concentric Paths. Macedonian pianist Simon Trpceski is going debut at the BSO in the Liszt Piano concerto no. 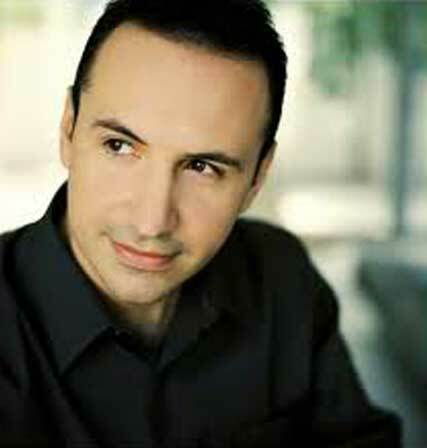 2 in the concert conducted by Rafael Fruhbeck de Burgos on April 28, 29 and 30. Very well known already in his native republic and in Europe, Trpceski made his Carnegie Hall debut with the Baltimore Symphony this fall and is also scheduled to appear this year with the symphonies of Baltimore, Montreal, and Atlanta. BMInt will publish an interview with Trpceski in mid April, closer to the date of his appearance in Boston.